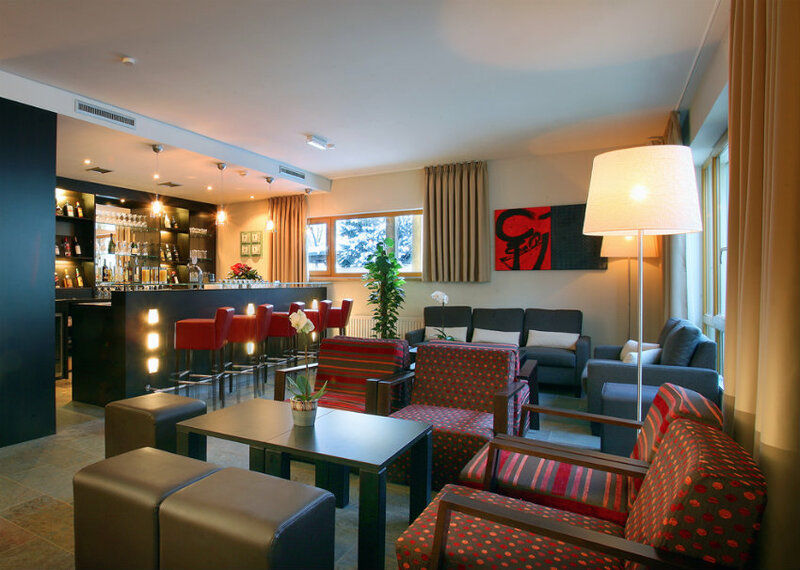 The 4* Hotel Banyan in St Anton combines contemporary Alpine design with an Asian twist and enjoys a great location in the centre of St Anton set back from the main street. The Galzigbahn lift station is around 200 metres (5 minutes walk) from the hotel and hire shops offer depot / locker facilities at the foot of the slopes. The resort’s restaurants, shops and legendary nightlife are all within a couple of minute’s walk of the Hotel. 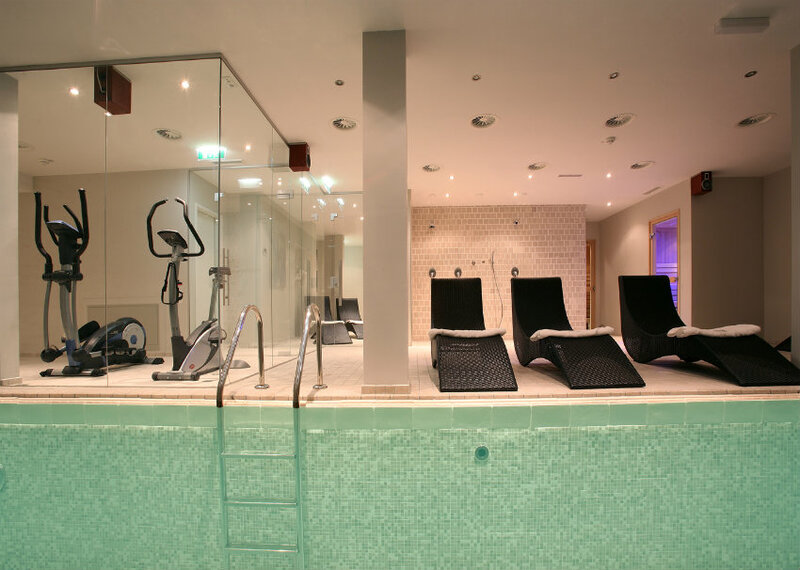 The Hotel has a modern, stylish Asian-inspired atmosphere with quality, generously sized ensuite bedrooms and features a reception, relaxing lounge bar with fireplace, breakfast room, swimming pool, sauna and steam room, gym, ski and boot room and luggage storage room. Free WiFi. Please note that the local tourist tax of €2.80 per person (aged over 15) per night is not included in our rates and is payable locally. All thirty-nine bedrooms are fitted and furnished in a contemporary style and offer ensuite facilities, balcony, flat-screenTV’s, hairdryer, telephone and free WiFi. Room sizes are standard (Double / Austrian Twin), medium (larger Double / Twin rooms with separate beds) and superior (largest, sleep up to three people). Doubles for single occupancy are available at a supplement. 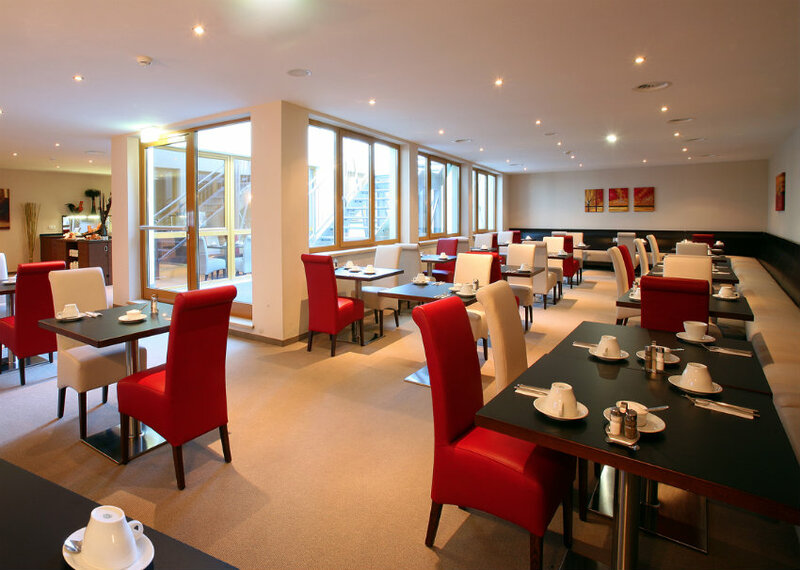 Accommodation is on a bed and breakfast basis and the hotel offers an extensive buffet breakfast with hot and cold dishes. St Anton offers a truly great choice of traditional and international restaurants all within easy walking distance of the hotel and eating out in Austria is excellent value. 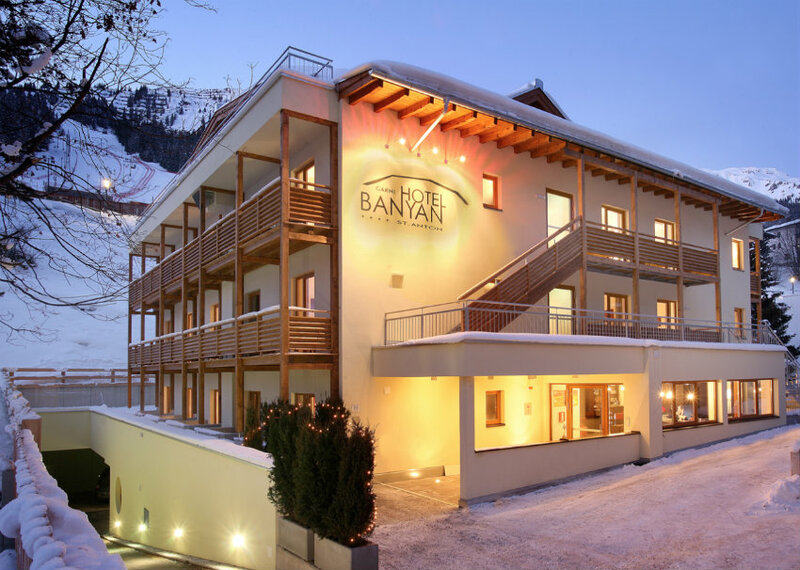 The Hotel Banyan offers an exceptionally high standard of stylish and contemporary accommodation in a great location close to both the lifts and resort centre. Staying on a bed and breakfast basis gives you the freedom to explore St Anton’s wide selection of restaurants. Short stays can be booked outside of high season dates (Christmas / New Year / February school holidays) with stays over a weekend at a premium.